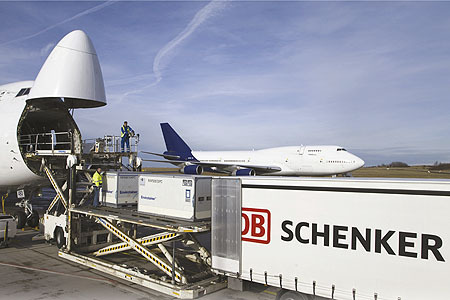 Future Leaders International is very proud of it’s long term partnership with one of the worlds largest logistics and freight forwarding companies, DB Schenker. FLI has been selected to design and deliver a large curriculum of leadership development seminars and projects across 12 countries in Asia and Australia. Program content includes the critical “Leadership Foundations Skills” required to build the business in fast growth markets of Asia Pacific such as; Cross Cultural Leadership, Building High Performance Teams, Coaching to Improve Performance, Cross Cultural Influencing Skills, Handling Difficult Conversations, Project Management, Engaging and Retaining Talent and Building a High Performance Culture. Initial pilot programs were launched in early 2013 in Singapore, Sydney, Bangkok and Seoul with the aim of rolling out the program across the entire Asia Pacific region. At the 26th Asian Freight & Supply Chain Awards (AFSCAs) in early June 2012, DB Schenker was honored with two prestigious logistics industry awards. During the ceremony in Shanghai, DB Schenker was presented with the awards for “Best Road Haulier – Asia” and “Best Green Service Provider – Logistics Operator”. “We are very humbled by this recognition from the customers and industry. The two awards together are a strong testimony to the Group’s 2020 strategic objectives and recognize our efforts in continually developing the critically important distribution and last-mile delivery capability, coupled with our committed environmental and sustainability focus in the Asia Pacific region, all for our customers,” said Jochen Thewes, CEO of Schenker (Asia Pacific) Pte Ltd. This is the second year in a row that DB Schenker has won the Road Haulier award, which is based on criteria such as, expertise, service standards and innovation. It is also the second time that DB Schenker received the Best Green Logistics Provider award since 2009. The award recognizes, among others, consistent environmental standards and investments in green technologies and initiatives.